The CFO of the Clinton Foundation, thinking he was "meeting an old professional acquaintance," admitted to investigators that the charity had widespread problems with governance, accounting and conflicts of interest, and that Bill Clinton has been commingling business and personal expenses for a long time, reports The Hill's John Solomon. Clinton Foundation CFO Andrew Kessel made the admissions to investigators from MDA Analytics LLC - a firm run by "accomplished ex-federal criminal investigators," who have been probing the Clinton Foundation for some time. Kessel told MDA "There is no controlling Bill Clinton. He does whatever he wants and runs up incredible expenses with foundation funds, according to MDA's account of the interview. 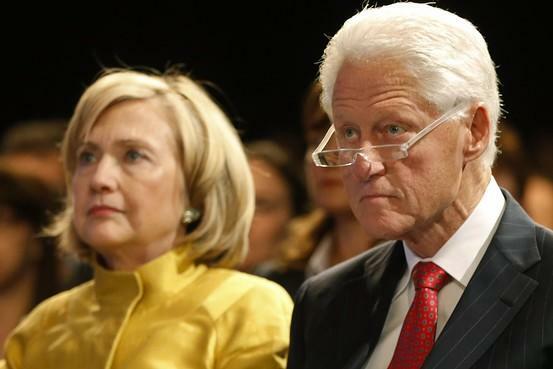 "Bill Clinton mixes and matches his personal business with that of the foundation. Many people within the foundation have tried to caution him about this but he does not listen, and there really is no talking to him." MDA compiled Kessel's statements, as well as over 6,000 pages of evidence from a whistleblower they had been working with separately, which they secretly filed with the FBI and IRS over a year ago. MDA has alleged that the Clinton Foundation engaged in illegal activities, and may owe millions in unpaid taxes and penalties. As Solomon noted in January, the Little Rock FBI field office has been spearhandling an investigation into pay-for-play schemes and tax code violations according to law enforcement officials. Meanwhile, the Clinton Foundation has been under investigation by the IRS since July, 2016 according to a January report by the Dallas Observer - after 64 GOP members of congress received letters urging them to push for an investigation. The investigation is being handled by their Dallas office - far away from Washington insiders. "There is probable cause that the Clinton Foundation has run afoul of IRS rules regarding tax-exempt charitable organizations and has acted inconsistently with its stated purpose," MDA alleged in its memo, adding "The Foundation should be investigated for all of the above-mentioned improprieties. The tax rules, codes, statutes and the rule of law should and must be applied in this case." Foundation officials confirmed that Kessel met with MDA investigators, but said that he "strongly denies that he said or suggested hat the Clinton Foundation or President Clinton engaged in inappropriate or illegal activities." "Mr. Kessel believed he was meeting an old professional acquaintance who was looking for business from the Foundation," the foundation added in a statement. MDA was specifically created to investigate 501c3 charities, and researched the Clinton Foundation at its own expense in the hope that the whistleblower submission they compiled might result in a government reward if the IRS was able to corroborate wrongdoing and recover tax dollars. The IRS sent multiple letters in 2017 and 2018 to MDA Analytics, confirming it had received the submission and it was “still open and under active investigation.” But, shortly before last month’s election, the agency sent a preliminary denial letter indicating it did not pursue the allegations for reasons that ranged from a lack of resources to possible expiration of the statute of limitations on some allegations. According to retired FBI supervisory agent Jeffrey Danik, MDA's work is "a very good roadmap for investigation, adding "When you have the organization’s own lawyers using words like ‘quid pro quo,’ ‘conflicts of interest’ and ‘whistleblower protections,’ you have enough to get permission to start interviewing and asking questions." While some of the documents MDA submitted were marked as attorney-client privileged, Danik doesn't think that should be an issue for federal investigators - given that since special counsel Robert Mueller "got the OK to investigate Michael Cohen and his attorney-client communications with President Trump, I imagine that hurdle could be overcome under the crime-fraud exception." Meanwhile, next week a GOP Congressional subcommittee led by Rep. Mark Meadows (NC) will review the work of John Huber - the US attorney designated a year ago by then-Attorney General Jeff Sessions to investigate "all things Clinton." The hearing will establish how much money and resources Huber has dedicated, and whether we can expect to see any recommendations regarding Hillary Clinton's transfer of classified information from her insecure private server, along with the foundation's activities. To that end, a prosecutor working under Huber called MDA analytics last week and requested copies of their Clinton Foundation evidence, according to Solomon. A prosecutor working for Huber called MDA Analytics last week, seeking copies of their evidence, according to sources. 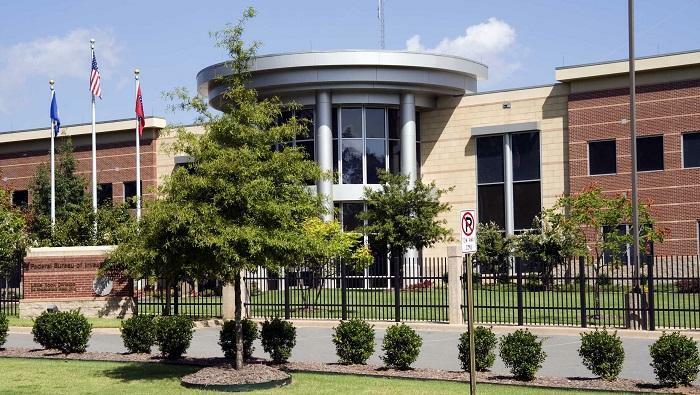 The firm told the prosecutor that the FBI has possessed the evidence in its Little Rock office since early 2018, the sources said. Some evidence that MDA investigators cited is public source, such as internal foundation reviews hacked in 2016 and given to WikiLeaks. Other materials were provided to the investigators by foreign governments that have done business with the charity, or by foundation insiders. Kessel's inadvertent admissions, meanwhile, track closely with comments made in 2008 written by a private lawyer named Kumiki Gibson - who the Clinton Foundation hired to study its governance. Gibson flagged concerns over improper commingling of charitable and private business. "The work of the Foundation and the President are intertwined in a way that creates confusion at, and undermines the work of, the Foundation at virtually every level," he wrote, warning that such actions pose "reputational and legal challenges, and with confusion, inefficiencies and waste." Meanwhile, a 2011 review by the law firm Simpson Thatcher noted "material weaknesses" found by auditors in 2009 and 2010, such as a lack of board meetings and unsigned board minutes - and also found that some foundation employees "abuse expense privileges," while others had conflicts of interest. We look forward to hearing anything further from Solomon and The Hill on whatever Huber has been up to.